Oct. 28, 2016 – San Diego, CA – The U.S. Food and Drug Administration issued its final guidance for the Essure System today, laying out what the agency thinks Bayer Healthcare should include in a new black box warning for the permanent birth control device. 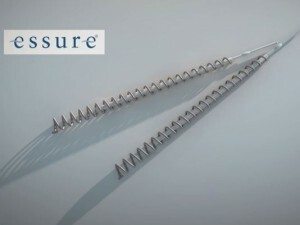 The FDA said in the guidance it believed women were not receiving or understanding information about the risks and benefits of Essure from their doctors before undergoing the permanent method of birth control. The agency said adding a black box warning – the strongest warning short of a market recall – and requiring a patient decision checklist would help ensure women could make informed decisions as to whether or not Essure were right for them. Essure has received thousands of complaints of serious and life-altering side effects since it was approved by the FDA in early 2002. These side effects include perforation of the uterus or fallopian tubes, migration of the coils into the pelvic cavity, chronic pain and hypersensitivity to the device. The FDA believes all of these side effects should be included in the device’s black box warning, according to the guidance. The FDA also recommended Bayer include a patient decision checklist highlighting in detail the key risks and benefits of the Essure System. The proposed checklist would include information about the device’s use, safety and effectiveness, and would contain patient-reported side effects and outcomes, not just those found during early clinical trials. The FDA recommended both women and their doctors read and sign the checklist before deciding on the Essure System. Essure is the only non-surgical permanent sterilization device currently on the market, but the final guidance applies to any similar device that could be approved by the FDA in the future. The agency did not say how long it may be until the black box warning and patient decision checklist show up on the Essure label. FDA’s recommended black box warning for Essure. It will ultimately be up to Bayer Healthcare to decide what to include in the warning. The fight to get a black box warning for Essure has been waging for well over a year. Advocates may have thought the war was over in September 2015, when the FDA first announced it would require Essure manufacturer Bayer to include a boxed warning on its birth control device following a hearing with the Obstetrics and Gynecology Devices Panel. But the battle was only just beginning. The agency invited the public to comment on what should be included in the warning through May 2016, two months after the agency released its initial draft guidance on Essure. Questions over whether the FDA would actually require Bayer to put the warning on the product arose last month when Essure advocates met with the agency and learned the guidance was merely that – guidance – and not a legally binding recommendation. The agency reportedly told the advocates it could only make suggestions and recommendations for the black box warning, but it would be up to Bayer to implement those recommendations. This led to questions over whether the FDA would require Bayer to put a black box warning on Essure at all or simply “recommend” it. This final guidance seems to be reassurance that the agency will indeed require a black box warning, but it will be up to Bayer to include the recommended language in the warning or not. 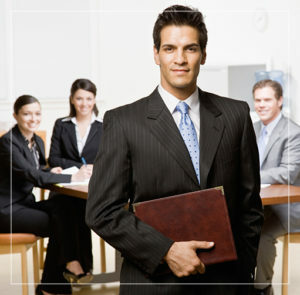 FDA has also assured that the language Bayer decides to include in the warning will have to be approved by the agency.